Saturday turned out to be a good day going 3-0 on 1 unit plays. 2 were easy wins the other was a back door cover! Then onto the NHL with a full slate of games we had a one unit play on Nashville +117. They had an easy time of it winning 5-1!!! That brings us to the NFL. Going into today I am sitting in a nice position in the Hilton NFL Supercontest at 19-11 just 2 pts out of the top 10. My one unit plays in the NFL are at a steady 8-3 for one unit sides. This turned out to be one of my easier weeks for coming up with 5 games. The only decision I had to make was whether to stick the bears into the mix on Thursday night. I decided against it for a variety of reasons and the decision turned out to be the right one. I am with them on Miami and fading them on Pitt. The Top 5 this year is 8-21-1 going 1-3-1 last week. That is a 27.5% clip for the top 5. About the worst start for them that I can remember. Usually, the top 5 is an excellent fade every season or at least use it as a filter for your betting. But last season you would have taken a beating doing that. My condolences for all bettors that saw how well it did last season and decided to jump on board. Unlike last week when there were only 3 teams over 60%, we have 9 this week with another 2 sitting at 59%!!! In addition four of these are over 70%. Will it be that easy? We will see. But typically it is not. Although there was one week last year where every big public favorite covered….Every one of them. So you never know. But one thing is about as certain as you can get if you are a handicapper. As a rule, you should be considering the other side of games >60% and also think about fading the Top 5 of the Super Contest. I would not recommend betting the other sides automatically but all you have to do is use the above as a filter for your wagering. 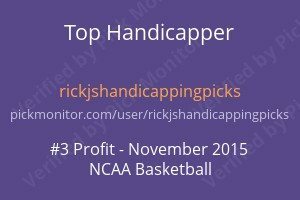 An absolute filter that precludes you from wagering on these teams and your handicapping results will improve substantially. Remember most sports bettors do not even make it through the end of the season let alone make a profit. It’s like that for every sport but even more so in the NFL. The pattern repeats itself every year. I remember a few years ago when public favorites got off to a great start early in the Season. I was getting angry emails how my methods were obsolete and a significant change has occurred. My guess is most of those that were angry than have sworn off sports betting:) Being a contrarian is the only way to go as a sports bettor. If you cannot bring yourself to do that then you have to not wager. Why give away your money? I would be more than happy to answer any and all questions regarding the above. I have written on the subject on 2+2 internet magazine and also commented on it many times over the last 13 years on this site. 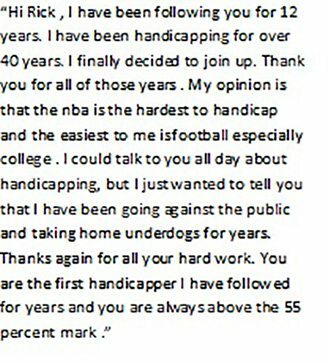 My goal is to educate and make what is a fun past time profitable for those of us that are drawn to sports betting. I have had a number of new signups for this service over the last week and want to mention that we have an SMS backup that I use in addition to twitter for sending out the plays. I know some of you are not on that so I highly recommend it now especially with the attack on the web yesterday that made twitter inoperable for several hours. Just send me an email with your cell phone number and cell provider and I will add you. My final comment is if you cannot remember all of this. You need to be able to think like “Spock” not as a typical human:) Another way to explain it is to think “logically”, in a universe where human logic fails. A nonintuitive logic. I probably got up too early if I start spouting philosophy so let me end this by hoping you all have a great day sports betting!! !